Posted March 15, 2019 by Lars Knobloch & filed under Nordic In The Press. 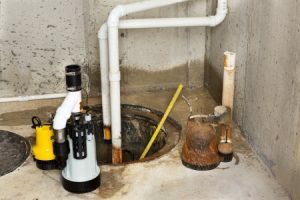 There are plenty of common issues that can happen to your home, and you should never overlook them, even if they seem very minor because the minor problems that are ignored usually cause the biggest headaches in the future. Nordic Home Inspection explains the common issues neglected by the home owners, and why you should always contact them to get the problem fixed. Take a look at this list, and ask yourself, do I pay attention to these if there is a problem? If so, then you’re off to a good start, but if you don’t, you should be. A certified home inspector like Nordic Home Inspection will check out everything on the list to make sure there won’t be any potential issues in the future. We look at everything in and around the home by taking our time to search every crack. We usually find some issue, whether it is a small or a big one, but the good news is if we catch it, we can fix the situation. The windows can be tricky because moisture can build up from humidity and condensation, which will cause mold. Sump pumps should be in working condition or else this can cause flooding issues if the power goes out. It is important to have your duct work cleaned out because it can get clogged up, which won’t be good for the indoor air quality. Never pass up a home inspection because it could hurt you in the future. Contact Nordic Home Inspection at 701-566-1446 if you see any problems with your home, and we will help you fix the problem.